Our goal is to connect people with the best local experts. We scored wedding photographers on more than 25 variables across five categories, and analysed the results to give you a hand-picked list of the best wedding photographers in Springfield, MO. The journalistic lifestyle and wedding photographers at Aaron Clark Photography capture timeless images that tell the story of couples' most important day. The team also takes images of anniversaries, families, kids, seniors, engagements, nature, outdoor adventures, expecting mothers, and newborns. Based in Springfield, Aaron Clark Photography is available to travel to local and national areas. The studio has been featured in 417 Bride Magazine, The Knot Best of Weddings, Metropolitan Bride Magazine, and Eco-Beautiful Weddings. Christine Bonnivier Photography is a Springfield, Missouri wedding photography studio that has worked weddings in Branson, Ozark, Republic, Kansas City, Joplin, St. Louis, Arkansas, Nevada, New York, New Jersey, Philadelphia, and several parts of Texas. The studio will also travel nationwide for destination weddings. Services include wedding, engagement, portraits, and family photographs. The works of Christine Bonnivier Photography has been featured in Metropolitan Bride Magazine. Cool Change Photography studio has many years of photographic experience. They specialize in elegant wedding and engagement photography. The studio operates in Springfield, Missouri as well Branson, Nixa, Ozark, Nevada, Republic, and the surrounding areas. Cool Change Photography performs only one wedding per day to avoid rushing or being late. They also offer four convenient and affordable wedding packages. Debby Young Photography is a Springfield wedding photography studio that offers romantic wedding and engagement images. Debby has nearly 25 years of professional photography experience and works throughout Southwest Missouri and the surrounding areas. Other services include portraits, families, couples, children, real estate, engagement, and fine art photographs. Debby has earned numerous awards from the Professional Photographers Association and Wedding & Portrait Photographer International. Gamble's Photography is a full service studio working throughout Springfield Missouri and the surrounding areas. Owner and lead photographer Erin specializes in candid style photography with an artistic flare that is free from fake smiles and stiff poses. Gamble's Photography is dedicated to capturing your story – from wedding ceremonies, to boudoir, to secretly shot proposals. Erin also photographs children, families, high school seniors, maternity, and underwater portraits. Gamble’s Photography has been featured in Metropolitan Bride, 417 Bride, and All About Weddings, and is Better Business Bureau accredited with an A+ rating. In Springfield, Heather Jolene Photography is a portrait photography studio that provides services to Missouri and the surrounding areas. The company specializes in artistic and photojournalistic style weddings and engagements. They can also capture photographs of high school seniors, expecting mothers, couples, newborns, families, children, and special events. Heather Jolene Photography travels all over for destination weddings and other special occasions. Based in Missouri and Texas, J Design Studios, LLC is a team of award-winning lifestyle and wedding photographers serving large parts of the Midwest and Texas from their two studio locations. Photographers work from a variety of angles to capture elegant images in their modern editorial style. They specialize in setting up candid images that are natural and do not feel staged. Jennifer Hayward Photography has more than a decade of experience using a traditional and photojournalistic style to unobtrusively document a couple’s wedding journey. The studio uniquely specializes in weddings and offers bridal and engagement images as well. The team operates in Springfield, Missouri, but can accommodate a wedding in Ozark, Nixa, and the surrounding areas. Jessica Yahn Photography is a Springfield wedding photography studio that also specializes engagement and lifestyle photos. Jessica nearly a decade of professional experience, and also serves Brandon, Bolivar, and Joplin, MO. Jessica is available for LGBT and destination weddings and was featured in The Knot and Beauty & Style Mommy Magazine. She also won the 2016 Wedding Wire Couple’s Choice Award. Jones Photography is a candid photography studio with a journalistic approach to images. They specialize in high school senior portraits, but also provides services for weddings, engagements, groups, families, maternity, headshots, landscapes, kids, bridal, lifestyles, babies, and youth photography. Jones Photography travels throughout Springfield, Missouri and the surrounding areas for individuals, groups, and special events. Kent & Carolyn Photography is studio that operates in and around the Springfield, Missouri area. The team has traveled throughout the United States including Arkansas, Illinois, and Colorado on assignment. The company takes creative and timeless images of weddings, engagements, children, families, and high school seniors. Kent & Carolyn Photography have acknowledgments and features in Buzzfeed, 417 Magazine, Laughing Squid, People, and CBS News. Laced Photography offers wedding, engagement, family, senior, art, documentary, and entertainment photography in Springfield, Missouri. The studio also serves customers in Ozark, Kansas City, St. Louis, Nevada, Joplin, Republic, Bolivar, Nixa, and Branson. Owner and lead photographer Lacey Bortvit studied at the University of the Arts in Philadelphia, and has been featured in Martha Stewart Weddings, Celebrate Magazine, Home & Garden, Southern Living, and Taste of the South. Mandy Evans Photography With Style is a boutique photography studio that specializes in wedding and engagement photographs in Springfield. The studio is also available to capture professional images for families, couples, children, and high school seniors. Owner and head photographer Mandy earned her Bachelor’s degree in Photography with a concentration in portraiture. Photo Genie Photography is a company in Springfield that captures some of life’s most precious moments on digital film. The owner has years of experience in shooting weddings using photojournalism techniques “with a mix of lifestyle,” and she supervises her team in crafting visual stories about couples getting engaged, being toasted by friends and family, preparing for big day, exchanging their vows, and embarking on their happily-ever-after journey in the presence of their loved ones. The artists tailor the services to the needs and goals of the clients, and the staff offers easy payment options. Photo Genie Photography also offers family portraiture services, and some of the products are virtual galleries of high-resolution images and physical albums that come in various sizes. For more than five years, Prairie to Pacific Photography has captured wedding and engagement photos with a fine art style. Paulette, the lead photographer, strives to tell her clients' story through emotionally charged and narrative images. She specializes in wedding, family, portrait, boudoir, lifestyle, and event photography. Though based in Springfield, Missouri, the Prairie to Pacific Photography team is available to travel for destination weddings. In 2016, they were a Top Pick for The Knot's Best of Weddings Award. Prestige Elite Photography is a photography studio that is based in Springfield, Missouri. The company serves Joplin, and the Southwest as well as Oklahoma and Arkansas. The studio specializes in creative photojournalistic wedding images that capture non-choreographed moments and interactions. Prestige Elite Photography also has experience with couples, families, portraits, business shoots, and engagement sessions. Sheri Holloway Photography brings romance, energy, and enthusiasm to every wedding or special occasion. 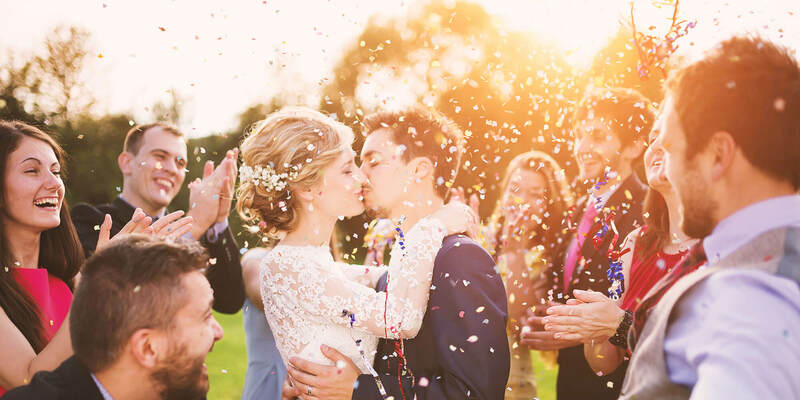 The Springfield-area wedding photographer specializes in creating unforgettable imagery, capturing heartwarming moments, and seizing the authentic style of each couple. She has been attentive to every detail that makes a wedding unique for more than a decade. Sheri Holloway Photography concentrates on freezing magical moments in time as they occur naturally with skill and creativity that exceeds expectations. The passionate, talented professional possesses a keen artistic eye for photographing fleeting memories from laughs to toasts, kisses, and much more. Clients can trust Sheri Holloway Photography to exhibit the necessary flexibility and professionalism that ensure a smooth experience. This dedicated artist is also happy to travel for destination weddings. The Mitchell's Photography has produced photographic images for more than a decade. The team provides services in Springfield, Kansas City, Oklahoma, and Arkansas. The studio offers romantic and custom photographs for elegant wedding venues. The Mitchell’s Photography also specializes in family portraits, engagement sessions, maternity images, and high school senior pictures. Turner Creative specializes in capturing elegant and romantic images for indoor and outdoor weddings in Springfield, Missouri, and beyond. The studio also offers engagement, boudoir, and senior portraits. Turner Creative travels to Aspen, Colorado and all over the globe for destination weddings. Magazine and Online features include Style Me Pretty, Grey Likes Weddings, 100 Layer Cake, Brides Magazine, Ruffled, The Knot Chicago, and Love My Dress. Unique Expressions Photography is a wedding photography studio that specializes in a photojournalistic style to capture candid wedding and bridal photographs. The studio operates in Springfield, Missouri and the surrounding areas. Unique Expressions Photography also captures images of individuals and groups for portraits, newborns, couples, families, children, and high school seniors to book sessions. Ziegler Photography is a portrait photography studio in Springfield, Missouri. The studio also works in the surrounding areas and is available for destination weddings. Ziegler Photography specializes capturing in romantic bridal and wedding photographic images. Other services include couple, engagement, family, maternity, newborn, real estate, and high school senior portraits.